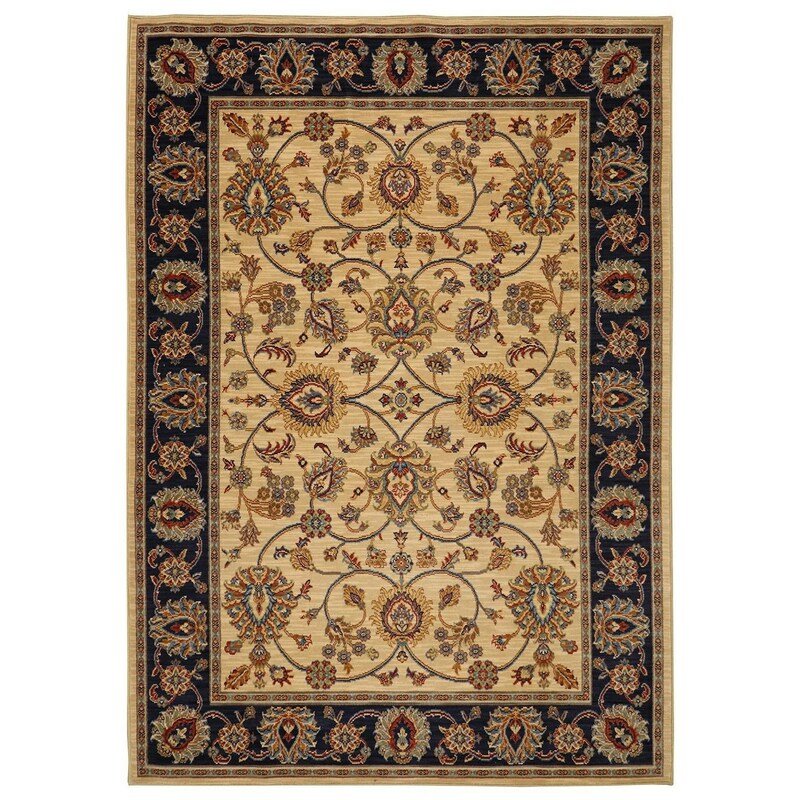 The classic floral agra pattern of Karastan’s Oxford design is renewed and refined by hearty hues of caramel, navy, brown, deep terra-cotta and soft green. Each of these colors has been specially dyed to achieve graduated shades of each hue on the wool yarns. The result is literally dozens of individual colors woven to simulate the stria effect of aged vegetable dyes. The Oxford is available in two colorations, ivory and a brown and navy duet. Luxuriously crafted of 100 percent worsted New Zealand wool through Karastan’s innovative Van De Wiele woven construction, the Oxford is the epitome of timeless elegance. The English Manor 8'6x11'6 Oxford Ivory Rug by Karastan Rugs at Furniture Mart Colorado in the Denver, Northern Colorado, Fort Morgan, Sterling, CO area. Product availability may vary. Contact us for the most current availability on this product.